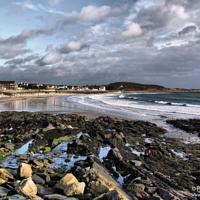 A stormy day in Gansey Bay is by its very nature a dramatic and wild event. Watching nature at its angriest from the sanctuary of the Shore Hotel, has to be one of life’s little pleasures – as you will discover when you visit us at the south of the Island. 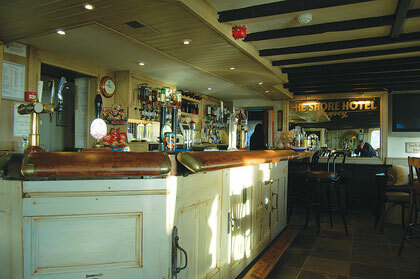 The main bar of the Shore has been transformed in the past year. If glitzy chrome and plastic are your thing then stay away, because The Shore has embraced its seaside location by introducing an eclectic, vintage chic/New England feel. 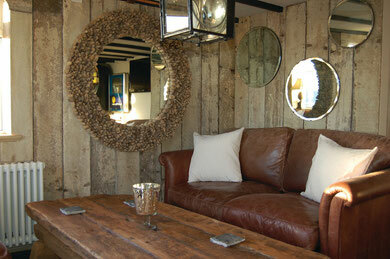 Rich cream shades with the tasteful and abundant application of natural wood finishes make it a cosy, welcoming space. Table tops formed from heavy planks hewn from original Georgian beams, a driftwood effect feature wall and a quirky new bar, created from sections of panelled doors – some still bearing their original street numbers – all help create a wonderfully warm and relaxed ambience. One corner of the room is given over to comfy leather settees, here you can see a number of fascinating old sepia images of the building – taken at the height of a storm early in the last century. 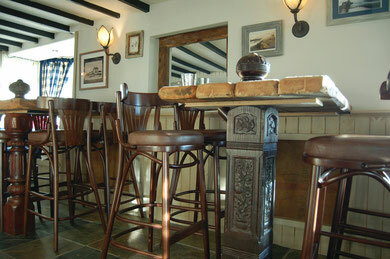 Running the full length of the bar area are chunky wooden ship’s rails. Their earlier life was, it seems, spent attached to a boat that made regular trips between Peel and Northern Ireland. The food served at The Shore, as you will discover, is exceptionally good. 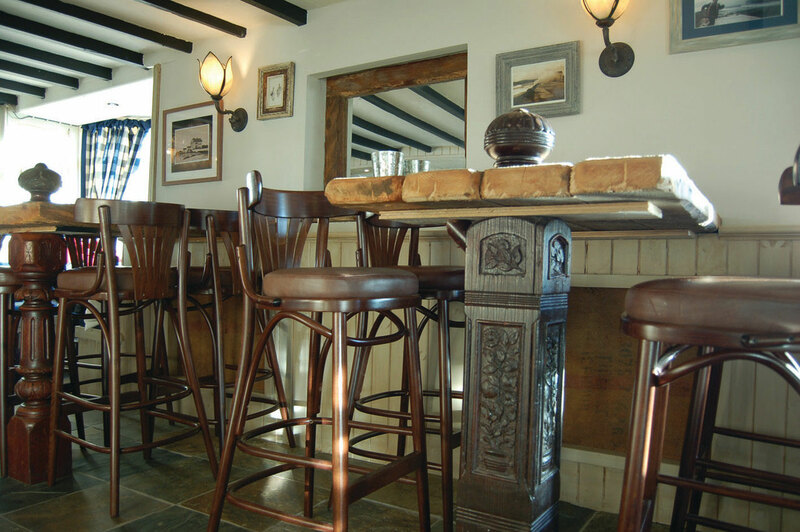 The regular menu offers quality and value with tasty treats such as Pan-fried King Prawns in a chilli and garlic butter sauce with crusty bread and from the mains list, Cod Bonne Femme in a creamy sauce. Steak lovers might opt for the fabulous 8oz Ribeye Steak, with hand-cut chips, Mushrooms, Onion Rings and Tomato. Other eye-catching dishes include the Shore’s famous Chicken Curry. A daily specials board supplements the regular offerings, and there’s also bar snacks, tasty sandwiches and lite bites throughout the day. 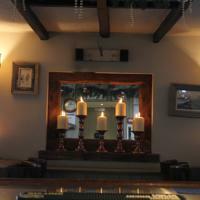 Please see our latest menus by clicking here.